The Line Miner™ goggle was created with the purpose of providing the ultimate in peripheral vision. With a cylindrical style design, we were able to pull the goggle in closer to your face than ever before. Allowing for incredible downward and side-to-side periphery, this is the only goggle available with the new PRIZM™ Inferno lenses. What is Inferno you ask? Think turbocharged window defroster – in your goggles! Inferno heated lens technology is the latest in the innovation you’ve come to expect from Oakley. Combats inner lens fog with the push of a button. Through rigorous field testing Oakley has determined the ideal lens temperature to combat fog, without ever feeling uncomfortably warm on your face or eyes. Uniformed heating across the lens causes fog to evaporate which means it has nowhere to hide. Prizm™ Lens Technology enhances visibility of snow contours, bumps and textures so you can ride with confidence. 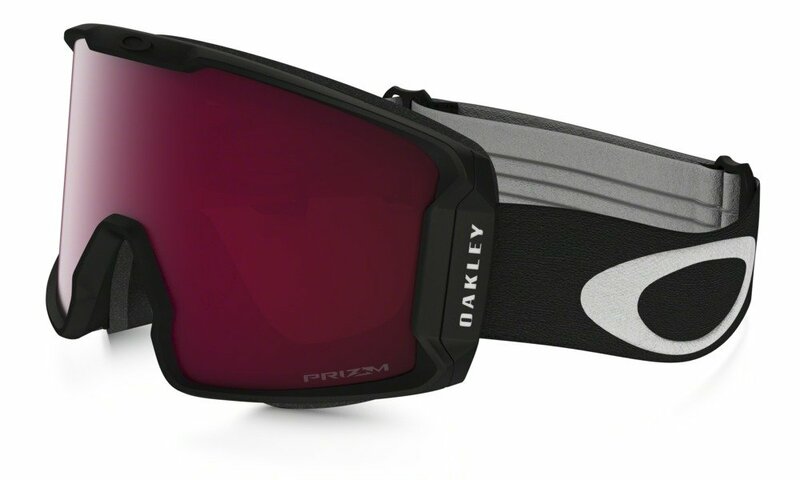 An external power module keeps the goggle lightweight so it fits and feels like a traditional Oakley snow goggle. It is designed to be completely removable when fog is not an issue. The rechargeable and replaceable battery is engineered for excellent performance in cold weather.